Syria crisis: US military 'ready to go' Jump to media player US defence secretary Chuck Hagel says the US is 'ready to go' in responding to Syria's suspected chemical attack. 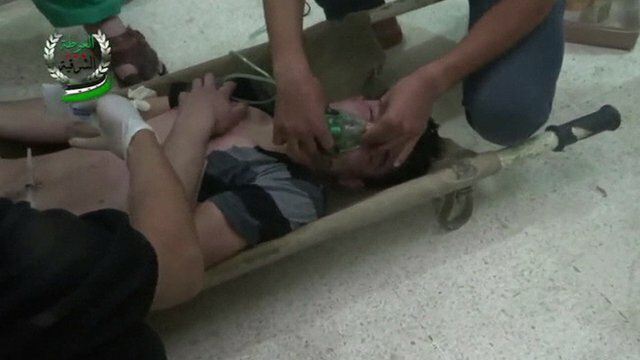 Syria attack: What the footage tells us Jump to media player The BBC's Bridget Kendall looks at some of the disturbing videos filmed by civilians and activists in Syria, where a suspected chemical attack reportedly killed hundreds of people. 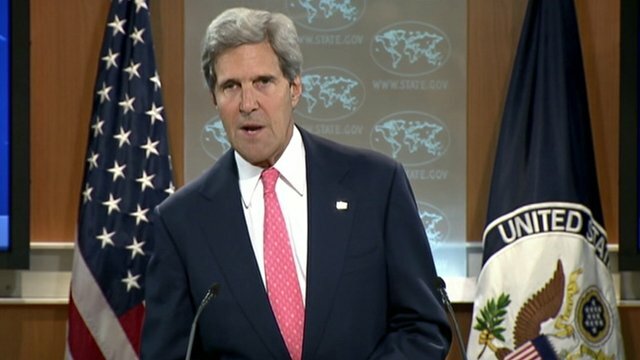 Kerry: Chemical attack 'undeniable' Jump to media player US Secretary of State John Kerry has condemned what he called "the staggering scale" of death and injury caused by chemical weapons in Syria. 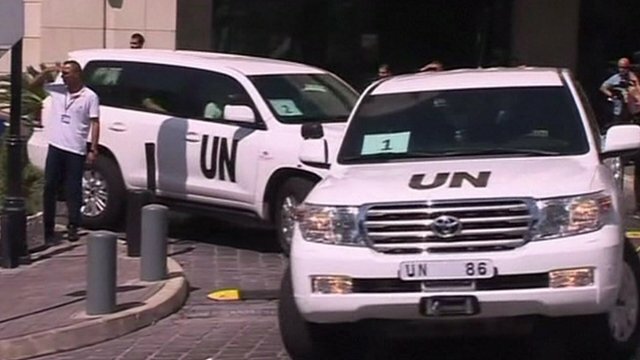 Snipers 'attack UN convoy in Syria' Jump to media player UN inspectors in Syria are visiting the site of a suspected chemical weapons attack near Damascus. 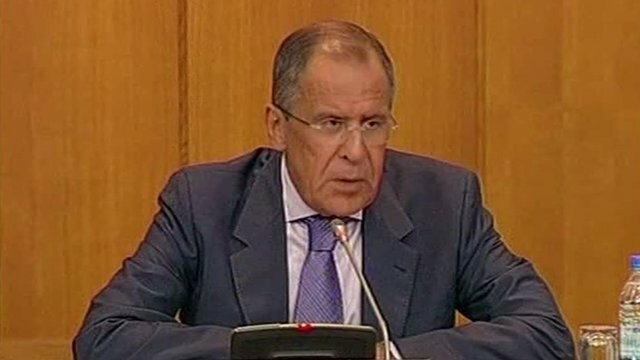 Russia warns West on Syria action Jump to media player Russian Foreign Minister Sergei Lavrov says any intervention in Syria without a UN mandate would be a "grave violation of international law". 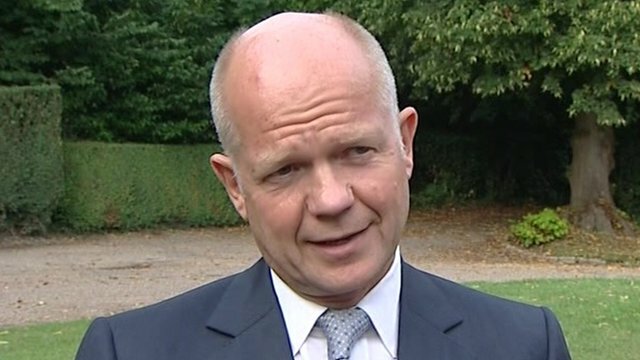 Syria 'diplomacy has not worked' Jump to media player Diplomatic pressure has not worked on Syria, the foreign secretary says, as UN inspectors prepare to visit the site of a suspected chemical attack. 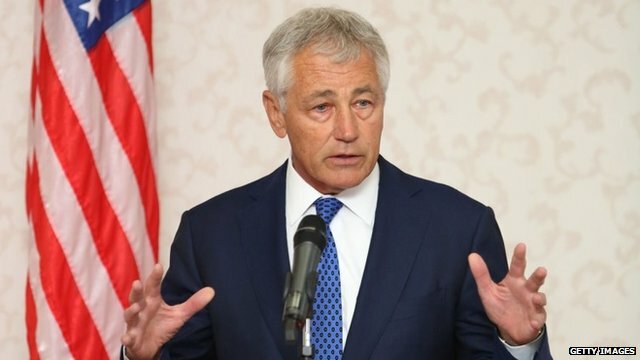 US considering 'options' on Syria Jump to media player The US is preparing "options for all contingencies" in Syria, Defence Secretary Chuck Hagel says. Cameron and Obama warning on Syria Jump to media player The UK and US have threatened a "serious response" if it emerges Syria used chemical weapons on Wednesday. 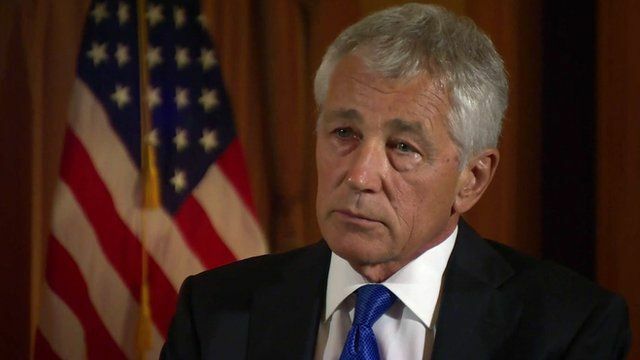 Chuck Hagel on Syria crisis Jump to media player US Defence Secretary Chuck Hagel tells the BBC's Jon Sopel that the US is 'ready to go' in responding to Syria's suspected chemical attack. US defence secretary Chuck Hagel has told the BBC the US is "ready to go" if the decision comes for military action against Syria. 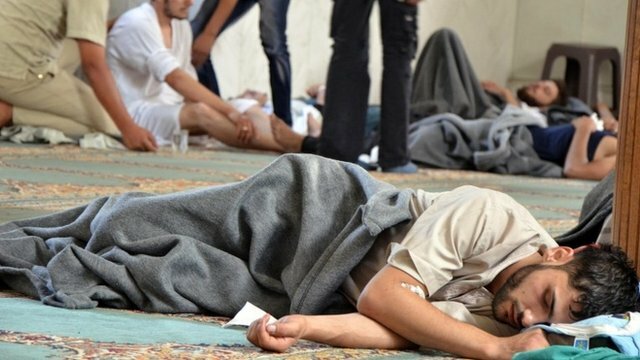 Mr Hagel said there was a range of options available to the US but that no action would be taken until more facts had been gathered on last week's alleged chemical attack in Damascus.